The little elephant marches on ... 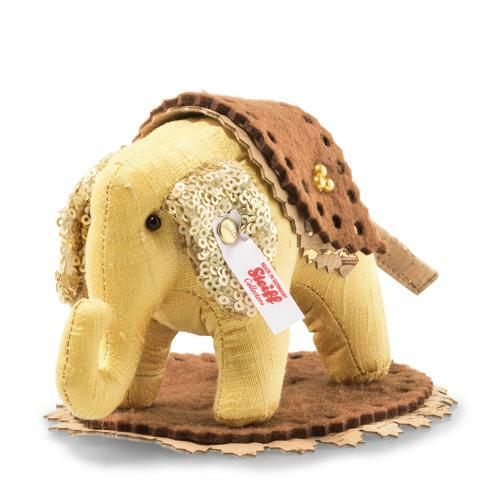 This is the third miniature elephant to join the ranks of Steiff’s Designer’s Choice. Lovingly fashioned from the finest natural materials – high-quality silk, cork material and wool felt – Steffi little elephant is a sight to behold. Her weakness for elegance can be seen when the sun comes out – when her sequinned ears and gold-plated “Button in Ear” sparkle in its rays.